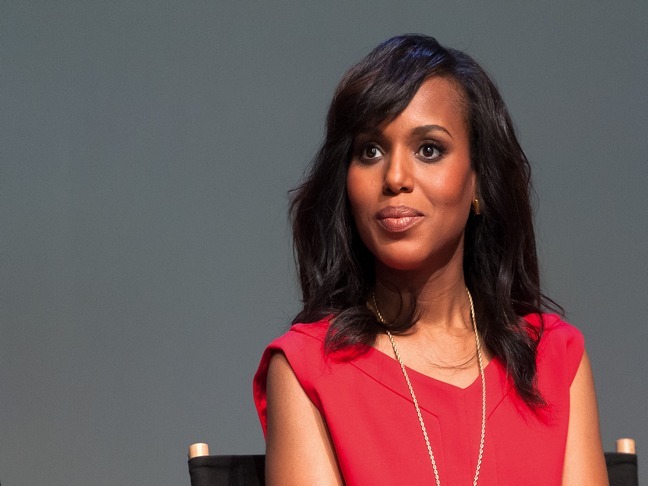 "Scandal" actress Kerry Washington is pregnant with her first child! Sources confirm to Us that Kerry and her husband, NFL player Nnamdi Asomugha, are expecting. "She's about four months along." Kerry probably won't be making any grand announcements about her baby news, as she typically keeps her personal life to herself. When she tied the knot this past June, it was a very private ceremony and came as a shock to her fans and the media. The Emmy nominated actress shared about her decision to keep things to herself when it comes to her private life, "I've had earlier times in my career when I did talk about it. But I couldn't just turn around and say, 'I only want to talk about the good stuff, but not the bad stuff.' So I just thought, 'Okay, no more.'"